Palma de Mallorca International Airport, also called Palma airport, is the third largest airport in Spain in terms of passenger volume. It is located on the island of Mallorca, an island belonging to the Balearic archipelago in the Mediterranean Sea. The airport is located in the south of the island and is 8 kilometers from the city of Palma, capital of the island of Mallorca and also of the Autonomous Community. Mallorca is part of the Autonomous Community of the Balearic Islands. 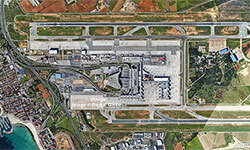 Palma airport (code is PMI) and is also known as Son Sant Joan airport. Due to its mild climate and its famous transparent waters, the island of Mallorca is considered an area of great tourist interest and its visitors are mostly international. In general terms, the international airports that flowed the most to Mallorca in 2018 were Germany (Dusseldorf, Hamburg, Frankfurt and Cologne), followed by Spain and the United Kingdom. In this period, the domestic market figure amounted to 7 million passengers and came from the airports of Barcelona-El Prat airport , Adolfo Suarez Madrid-Barajas airport , Ibiza, Valencia, Menorca, Seville, Alicante-Elche and Malaga Costa del Sol. With nearly 29 million passengers per year managed in 2018, this figure is only surpassed in Spain by the Madrid-Barajas airport and Barcelona El Prat airport. Of the amount, international traffic exceeded 21 million. Palma de Mallorca airport managed more than 220 thousand flights and its passenger traffic increased by 5.5% compared to 2018, although its freight traffic decreased by 1.7% in 2018, slightly exceeding 10 million tonnes. Palma de Mallorca airport has two parallel runways that can be used simultaneously, and consists of a passenger terminal that connects with four boarding modules. It also has three cargo terminals and a General Aviation terminal for companies and passengers on private flights, and aerotaxis. The airport shares its runways with the Son San Juan Air Base, located parallel to the airport and operated by the 49th Air Force of Spain. Address: Son Sant Joan - 07611 Palma (Islas Baleares). 902 404 704 / (+34) 91 321 10 00 (outside Spain, or if you can not ring 902 lines). Passenger terminal, level 0, Arrivals hall. Monday to Friday, 9h to 17h. Remining life and festive to 13h. Fill the lost property claim form . Lost in the aircraft facilities objects need be claimed at the airline, or their handling company. Handling companies are located atpassenger terminal level 0, baggage claim hall, except Jet2, which is located in the same passenger terminal but on the level 2, Departures hall. The coordinates of the airport premises are as follows: 39° 33 ′ 06 ″ N, 2° 44′ 20″ E.
The ICAO/OACI code is LEPA, and the IATA code is PMI. Runway 06L/24R: with algnment 059º/239º, length of 3270x45 meters (10728x148 feet). Runway 06R/24L: with algnment 059º/239º, length of 3000x45 meters (9842x148 feet). A passenger terminal building consisting in five modules: a three-storey main module called the Passenger Terminal, connecting with four boarding Modules (A, B, C, D) and their relevant services. Module A, Module B and Module C having two levels each one, and Module C with only one level. Three separate charging terminals: EAT charging terminal, Acciona and Ibertrans charging terminal, and Aena charging terminal. A General Aviation Terminal for companies, passengers of private flights, and aerotaxis. Aeropuerto-palmademallorca.com offers information to the visitors, related to the Palma de Mallorca airport, but has no direct or indirect connection with AENA, the administrator of the biggest part of the Spanish airport network. For further explanations about flight schedules, connections, Immigration services, airlines and/or luggage, please send an e-mail to the following address pmi_reclamaciones@aena.es. 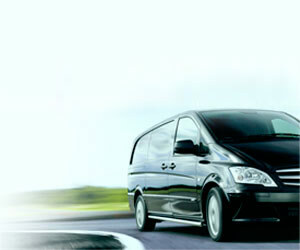 If you wish to contact Aeropuerto-palmademallorca.com, please send your message to web@aeropuerto-palmademallorca.com.